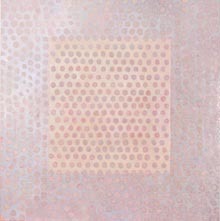 Exhibited at MARS (Melbourne Art Rooms) QCP (Queensland Centre for Photpgraphy) and Artereal Gallery Sydney. 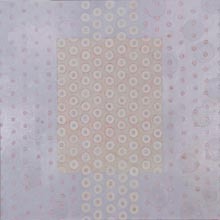 Shimmer is an exhibition of squares: translucent cubes, photographic prints, sequin and bead drawings and paintings. – working across materials and processes to explore different ways of interpreting nature’s dynamic geometry, and allowing people to see the connections between science, design and us. Scientists and artists study natures intricate design and geometric proportions in order to reach a better understanding of themselves, of others and of the environment.